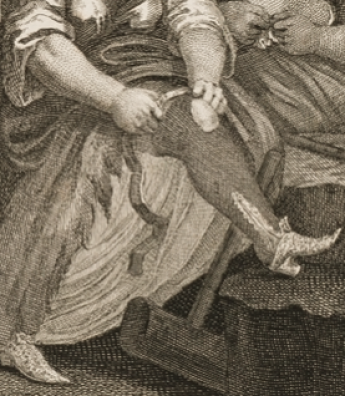 In the eighteenth century, the record for the fastest amputation at the thigh was nine seconds, start to finish, including sawing through the bone. Are you impressed yet? Even the average, thirty seconds, was pretty damned fast. And speed was of the essence. Let’s face it. 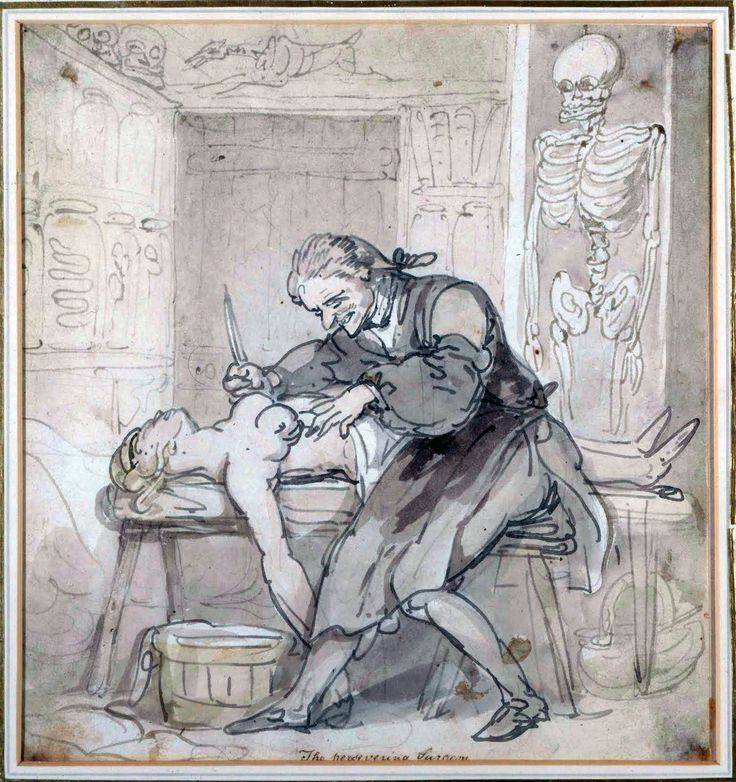 If you needed surgery in the eighteenth century or the first half of the nineteenth, you’d better be strong and brave, because it wasn’t a doddle. Not for the surgeon, and not at all for the patient. They’d solved one of the major issues that killed people who needed surgery, reinventing ligatures to tie off blood vessels so the patient didn’t bleed out on the table. Before the sixteenth century, they’d used cautery—burning—to seal any gushers, vastly adding to the pain. And, of course, closing up the wound as fast as possible helped. And pain was the second issue. No effective anesthetics. Not until the mid-nineteenth century. The patient was awake for the entire operation, which was the main reason why speed (and some strong helpers to hold the patient down) mattered. The biggest killer was factor number three. Germs. Not that they knew that, of course. The prevailing opinion was that wound infections were caused by air, though how nobody quite knew. They had no way of knowing that the surgeon’s hands and clothes, the bed sheets, the surgical instruments, the dressings, and a myriad of other surfaces that would come into contact with the patient were covered with organisms too tiny to see, but that would infect the wound. Most people sickened. More than half died. Some hospitals did pretty well. Their theory was that the infective element was carried in noxious fumes; that is, if it smelled like bad air, it would be bad for their patient. Alexander Monro (Primus and Secundus), a father and son team who headed the Royal Infirmary in Edinburgh, must have run a clean operation. They managed to get the death rate for amputations down to eight percent. Given that other hospitals of the time managed rates of 45 to 65 percent, that’s truly impressive. Most surgeons relied on speed to limit the amount of time the wound was exposed to the air, thus—they hoped—cutting down on the damage the air did to the tissues. So a fast surgeon was far more likely to be a successful surgeon for three reasons: less blood flow, a shorter time of acute agony, and (they thought) less contagion. No wonder that, to the rest of the human race, surgery seemed more a matter of butchery than medicine. Naturally, as they thought at the time, physicians did not perform surgery. Physicians had, since medieval times, been university trained. They were gentlemen’s sons with a medical doctorate, highly educated and knowledgeable about the humours of the body and the appropriate ways to balance them. In theory, their superior knowledge made them the only proper people to practice medicine and oversee surgery. They did not involve themselves in physical labour, but expected rather to command those who distilled the medicines they prescribed (apothecaries) or who carried out operations they deemed necessary. Specialist surgeons learned their craft on the job, working as a surgeon’s mate in the navy or the army, or as the apprentice to a barber surgeon or an apothecary surgeon. Barbers were good men with a blade, so an obvious choice for removing some part that shouldn’t be there or performing a beneficial bloodletting. The familiar red and white barber’s pole dates from the time of the barber surgeon, representing the rod the patient held tightly during the operation and the bloodied and clean bandages used. When washed and hung to dry, they would twist together in the wind, forming the spiral we see today. The Lords reversed the judgement. 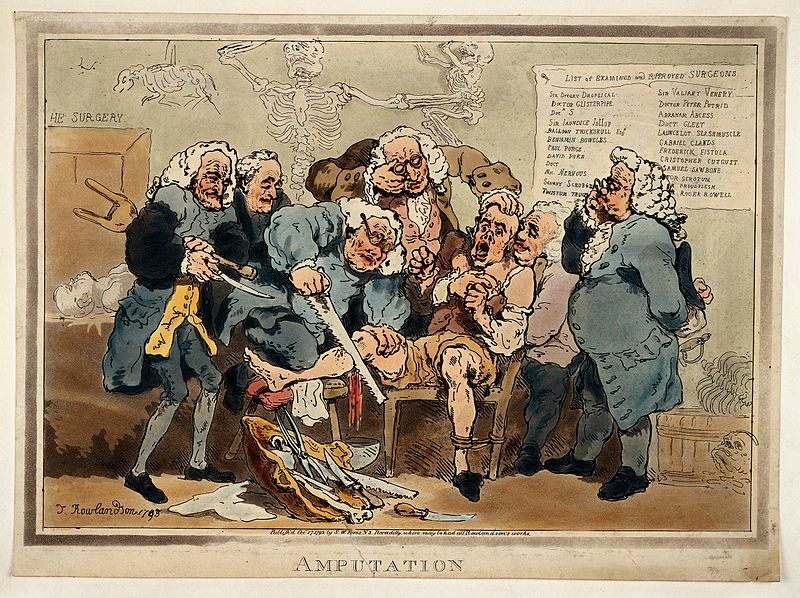 By the eighteenth century, surgeons were giving physicians a run for their money, some attending university as well as learning their craft by apprenticeship. However, they seldom had any formal qualifications before the Royal College of Surgeons was founded in London in 1800. They were ‘Mister’ compared to the physician’s more prestigious ‘Doctor’, though the brilliant work of a plethora of eighteenth century surgeons raised their status and the work of medical teaching hospitals such as the Royal Infirmary mentioned above raised their knowledge. By the time Victoria ascended the throne, the confidence of surgeons, and the income they could command, had risen to the point that the cheeky surgeons made the former insulting honorific into a badge of honour. 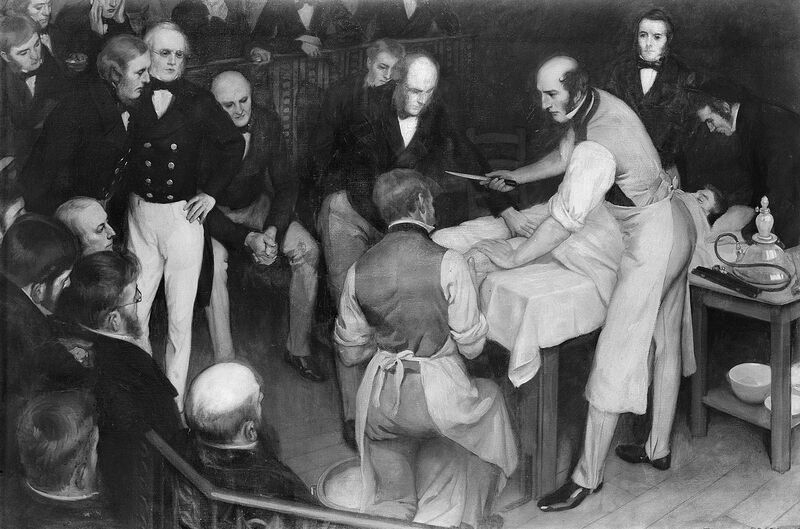 In the UK, Eire and New Zealand to this day, surgeons are called ‘Mister’ rather than ‘Doctor’. 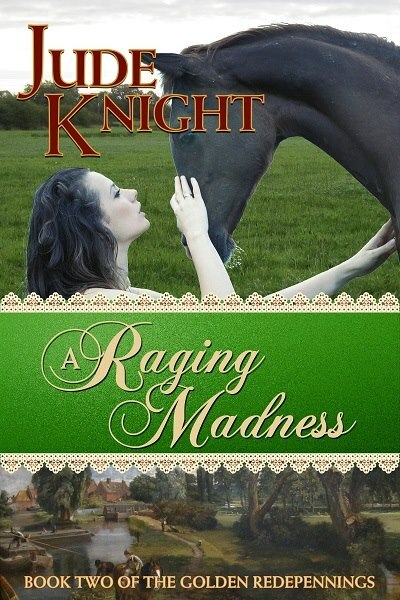 A Raging Madness is out May 9th. Stop by our sister blog today to see surgery in action in a new excerpt and enter two giveaways! 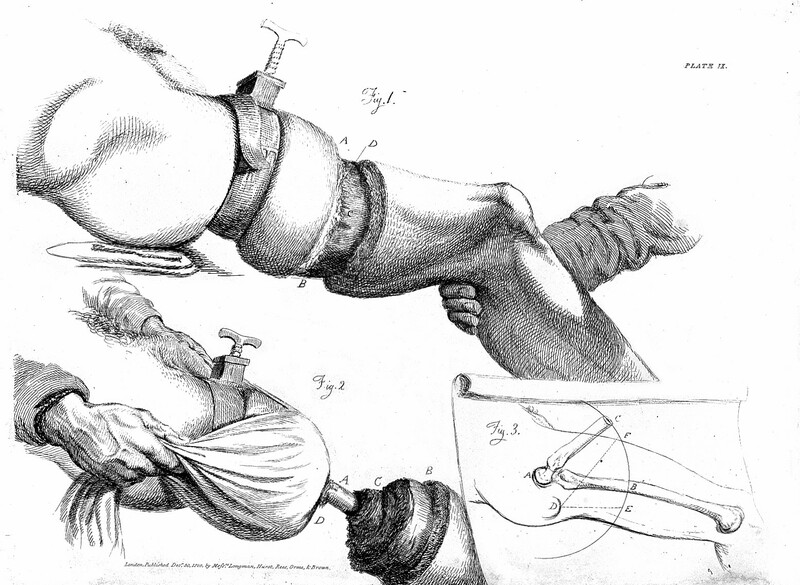 Surgery in the early 19th century usually meant a death sentence. It was the last resort and never undertaken lightly. Statistics from the time put the chance of dying as a result as high as 80% and surgeons were still not really considered to be proper doctors. Even the simplest of procedures carried a level of risk because there were three ferocious killers that had to be contended with: infection, pain, and bleeding. Complex operations on the internal organs were impossible, so most operations at this time were either amputations of gangrenous limbs or the hacking away of obvious and engorged tumours and growths. It was not uncommon for a person to succumb to shock and die during such an operation. The pain must have been excruciating. Without anaesthetics, they would feel every cut, their only comfort a leather strap to chew on while they were forcibly held down by however many people it took to keep them in place. In the British army, soldiers had to ‘bite the bullet’ before the field surgeon got to work, although all surgeons were trained to prefer their patients screaming. It was a good gauge to know whether or not they were actually still alive. 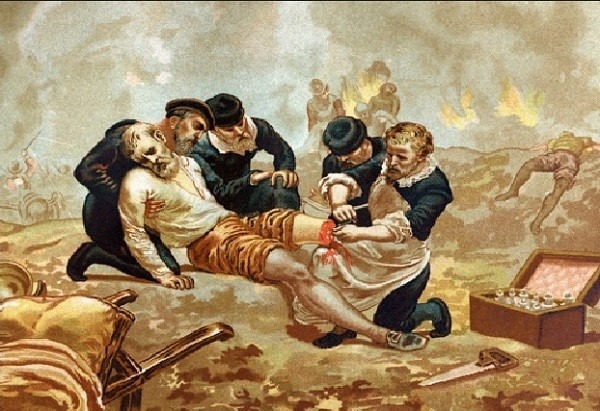 Amputation of the Thigh. Sir Charles Bell, 1820. Assuming these tragic individuals did not expire from heart failure on the table, the loss of blood would probably kill them. The discovery of blood types, which made successful transfusion possible, would not come until 1901, so surgeons had to devise other ways to stop their patients bleeding out on the table. Tourniquets were standard issue, but when amputating a limb, many arteries and veins would be cut through. To quickly stem the flow of bleeding the only weapon a surgeon had in his arsenal was a cautery, a metal tool which could be heated in a fire and then pressed firmly onto an open wound to seal the blood vessels. This technique was more successful on smaller wounds than larger, and even then, speed was off the essence. The poor soul on the table would enjoy both the horrendous pain of cauterisation alongside the sounds and smell of his own burning flesh. Because of the risk of excessive blood loss, operations had to be quick, and no one was quicker than Robert Liston. Although brilliant for his time, Liston was also a bit of a showman and throngs of eager fans turned up to watch him work. He would stalk into the operating theatre at the same moment the patient had been restrained, with the ominous words “Time me, gentleman!” Then he would grab the unfortunate’s offending leg and begin to cut. Spectators reported Liston frequently held his knife in his teeth while he quickly sawed through the bone, then threw the severed limb into a bucket at his feet before he tied off the arteries. His average speed from first incision to wound closure was two and a half minutes. As barbaric as this seems, few people died on Liston’s table…of course, they died afterwards in their droves. His legend was further embellished by his brutish behaviour. Once, when a patient fled the operating room crying in terror and barricaded himself into an adjoining room, Liston single-handedly broke down the door and dragged the man kicking and screaming back to the table. In one operation, not only did he amputate a man’s leg, he accidentally cut off his testicle as well. In another, he sawed through both the leg of the patient and three of the fingers of the man holding the patient down. Both men later died of infection. Robert Liston Operating. Ernest Board, 1912. Infection was by far the biggest risk. In 1800, the concept of germs and bacteria even existing was at least another sixty years away. As was antiseptic. Surgeons worked in unhygienic conditions, rarely washing either their hands or their knives before an operation. Often in hospitals, because it was such a rarity, the procedure would be carried out in front of an audience, hence the term ‘operating theatre’ we still use today. The opportunities for contamination under these circumstances were huge. Both the surgeon and the audience wore their street clothes and boots, and the cramped gallery would be filled with the potentially deadly microbes released by their breath. ‘Surgical sepsis’ could set in within hours of the operation, and once that occurred, it was curtains for the patient. In a world where germs had yet to be discovered, they certainly did not have any medicines to treat them. In fact, people would try anything to avoid having surgery. There are hundreds of recorded cases of giant tumours which would be inconceivable today. Liston once removed a forty-five-pound tumour from one man’s scrotum which was so large, the patient pushed it around in a wheelbarrow rather than face the spectre of a death which came from a visit to a sawbones. Despite all of my research, I still have no idea if this poor fellow actually survived. Statistically speaking, I sincerely doubt that he did. Virginia Heath writes witty, raunchy Regency romances for Harlequin Mills & Boon. That Despicable Rogue is available now and her second novel, Her Enemy at the Altar, comes out in July 2016.